Courtesy of Chloe Trevor | Chloe Trevor, a world-renowned violinist, displays her passion for music and the violin as she performs a musical piece. 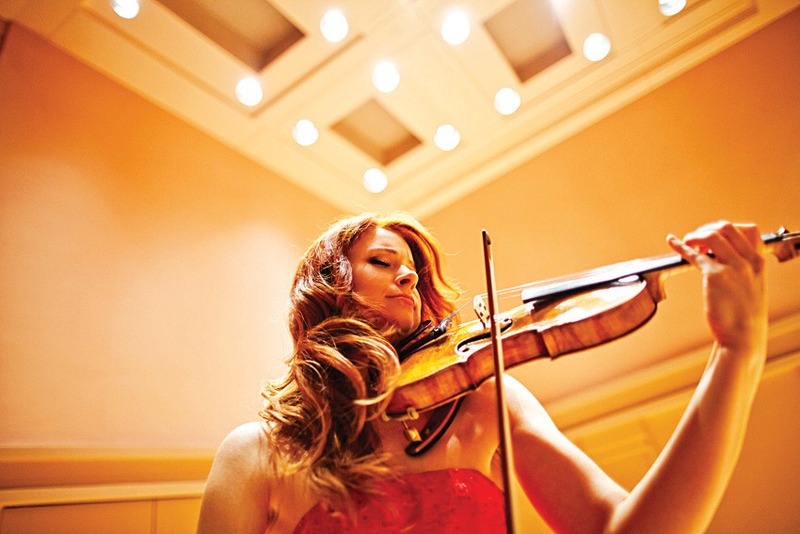 World-renowned violinist Chloe Trevor is joined California Baptist University’s Symphony Orchestra March 8 for its third concert of the classics series. The concert was divided into three parts. The first part was “Suppé’s Poet and Peasant Overture,” composed by Franz Von Suppe and conducted by CBU graduate student Flora Xing. During the second part, Trevor performed the Sibelius Violin Concerto, which was written by Jean Sibelius in 1904. The third part was Franck’s Symphony in D minor, written by Cesar Franck in 1888. Franck’s piece was conducted by Dr. Gene Moon, conductor of CBU’s Symphony Orchestra and associate professor of music. Moon, who has known Trevor for approximately five years, said he was excited to bring such a successful Christian musician to CBU. Moon and Trevor’s relationship began in Texas and has turned into a lasting friendship over the course of the last five years. CBU orchestra students, such as Elisa Laraway, sophomore civil engineering major, said they looked forward to the opportunity to perform with someone as renowned as Trevor. Laraway also said she was impressed by Trevor and how open she is about her faith on social media. “In a time when talking about faith on social media can be intimidating, she integrates it into a lot of what she posts,” Laraway said. Students in the orchestra rehearsed for months as they prepared for Trevor’s arrival. In anticipation of the event, Moon initiated a FaceTime call with Trevor so the orchestra could see her before the big day. Laraway said she hoped the music presented was inspiring. The performance was held March 8 at 7:30 p.m. at Crosspoint Church in Chino.